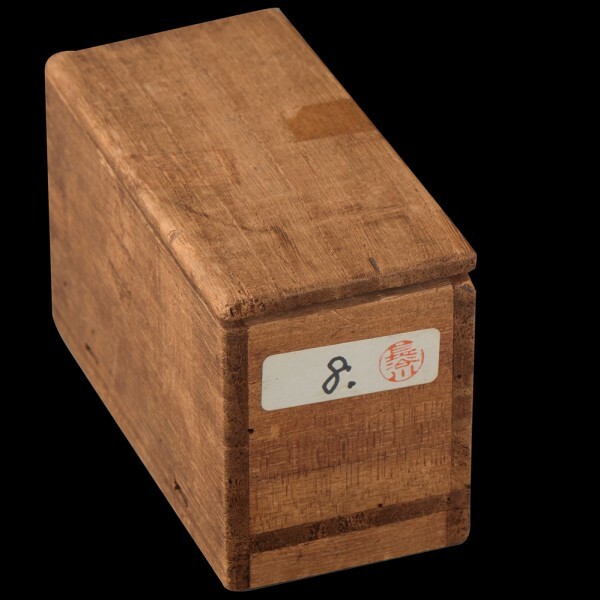 Reference: 1. 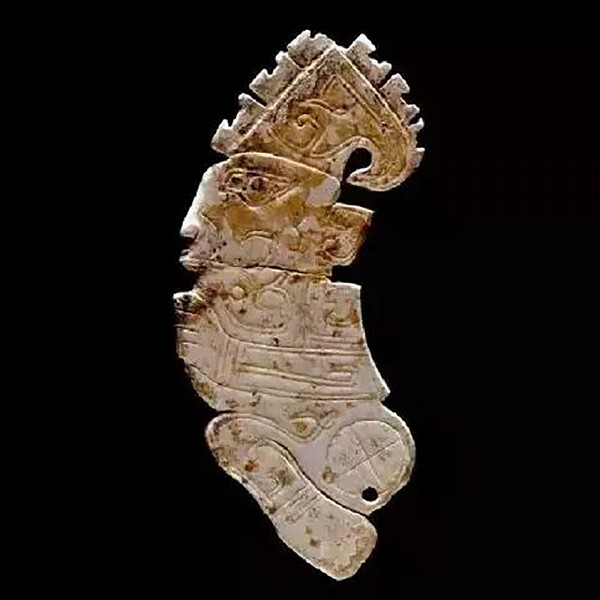 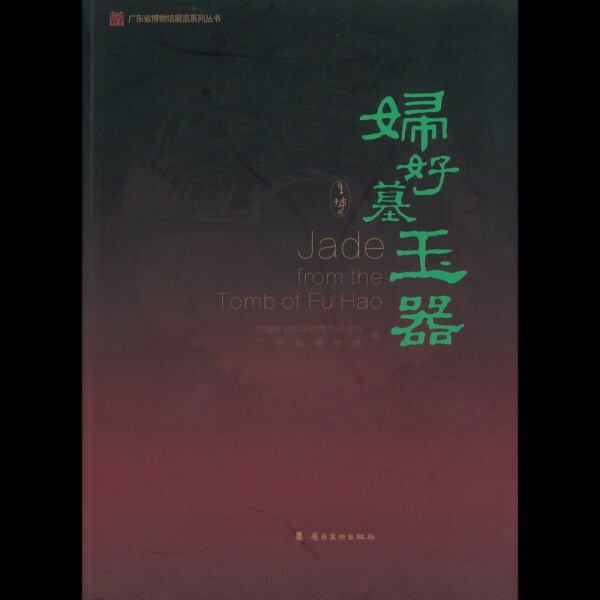 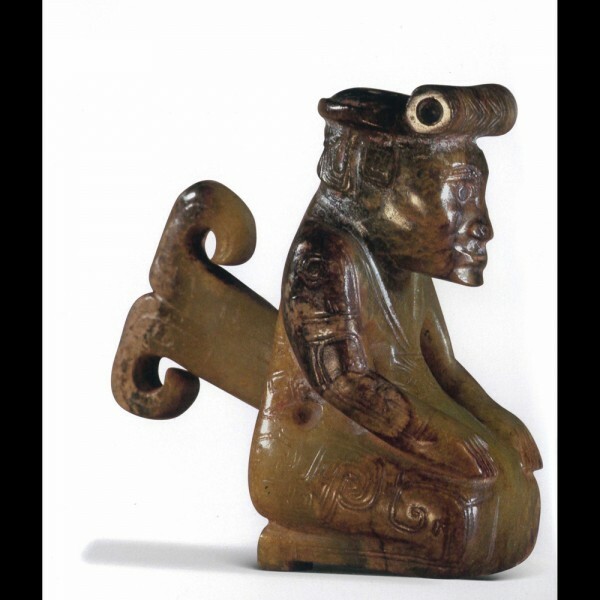 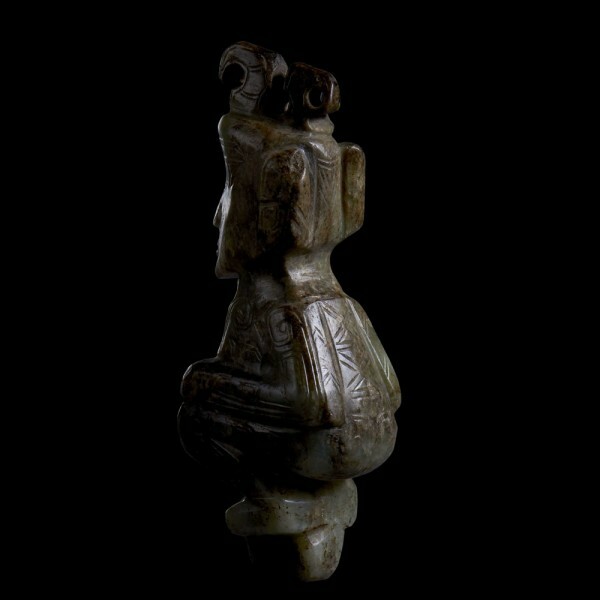 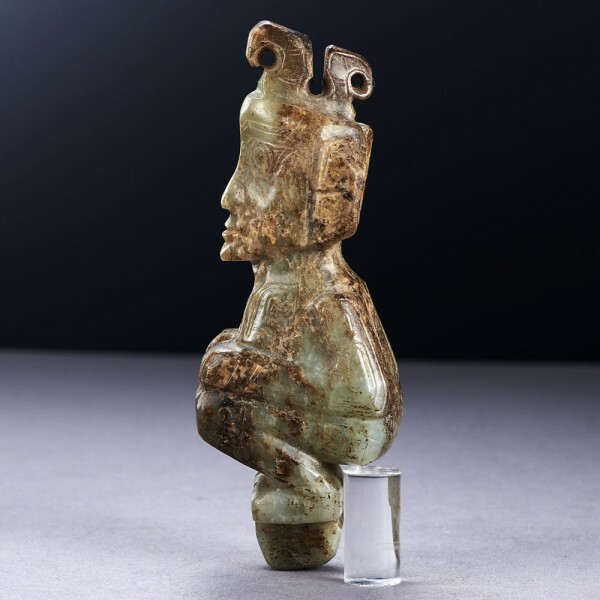 A similar jade statue of a person kneeling (1976AXTM: 371) form Shang, was unearthed at M5 Tomb, the tomb of Fu Hao, Anyang Yinxu, in 1976, is illustrated in JADE FROM THE TOMB OF FU HAO, edited by Institute of Archaeolohy Chinese Academy of Social Sciences, Lingnan Fine Art Publishing House, Guangzhou, 2016, p. 64 2. 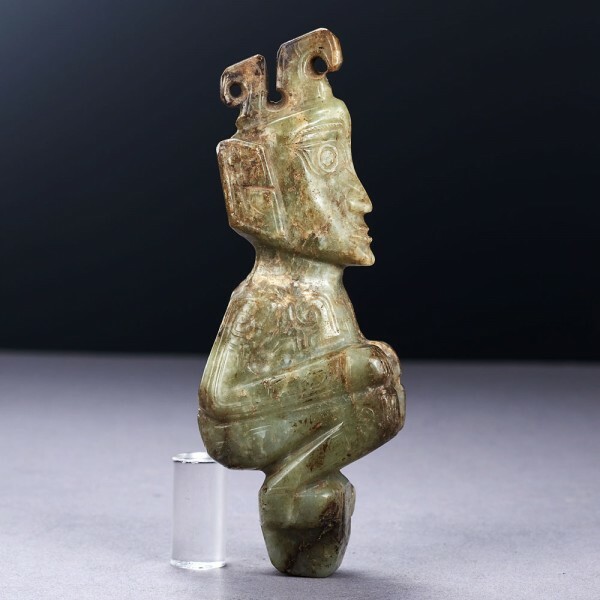 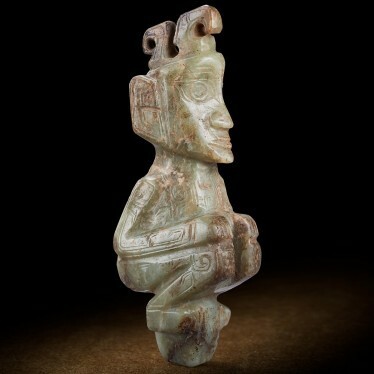 A jade figure-shaped ornament from the late Shang dynasty, with a similar style, is kept in the National Museum of China.